In this issue of Vietnam Briefing Magazine, we attempt to clarify the decision making process involved with moving your sourcing business to Vietnam. We first take you through the important factors to consider when choosing your sourcing partner before outlining the different sourcing models that are available. Additionally, we help you to choose which sourcing model best fits your business by weighing the advantages and disadvantages of each sourcing model. Rising costs throughout the Asian region, and in China particularly, are driving businesses to look elsewhere for their sourcing partners. Vietnam has emerged as a prime location for foreign companies seeking lower cost sourcing options. The country stands out as an ideal location for sourcing for a number of reasons. Key among these are Vietnam’s plentiful supply of cheap labor, low business expenses, political stability, and growing domestic consumer market. The country also has substantial tariff, tax, and quota advantages for a number of products due to the country’s inclusion in numerous free trade agreements. Vietnam also has a number of strategically located industrial parks that investors can take advantage of. In fact, the economy of Vietnam has been described as a “sourcing economy” since so many companies are now choosing to source their products within the country. A prime example can be seen with regards to the textiles market – 70 percent of the garment industry in Vietnam is dedicated to sourcing. 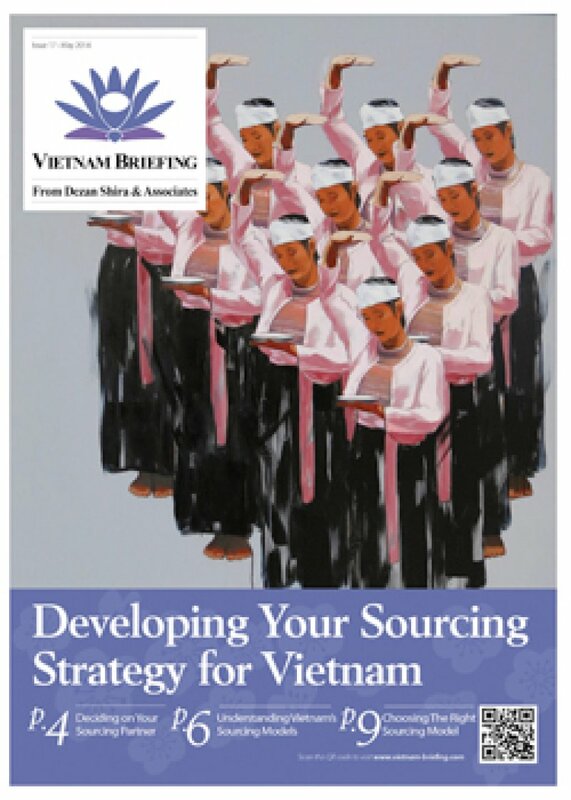 In this issue of Vietnam Briefing Magazine, we outline the various sourcing models available for foreign investors - representative offices, service companies and trading companies - and discuss how to decide which structure best suits the sourcing needs of your business. Perhaps the most important factors to consider when choosing a sourcing structure are your staffing requirements, your need for operational flexibility, and which option offers the greatest cost efficiencies. In this issue, we compare how each of these factors match up with the available sourcing platforms in order to help foreign businesses find the best option for their specific sourcing needs.